When the postman rings twice either a murderer lurks in front of your door or…….. the new Print & Pattern Kids book arrives! It is the brand new third book by Marie Perkins, who runs under the synonym Bowie Style the very popular blog print & pattern. 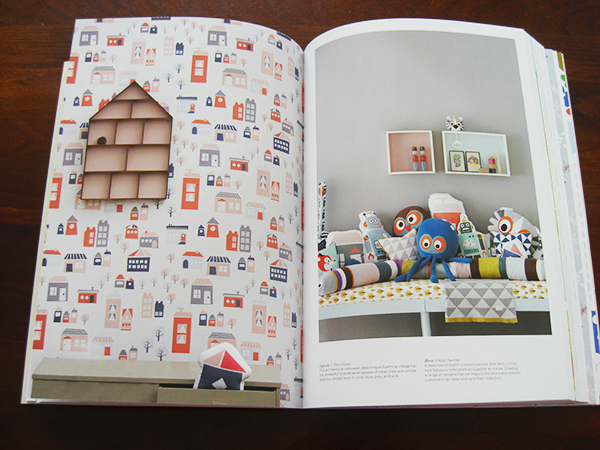 The book is full of gorgeous patterns and illustrations for kids and I´m very delighted to find some of my MATS classmates´work published there. 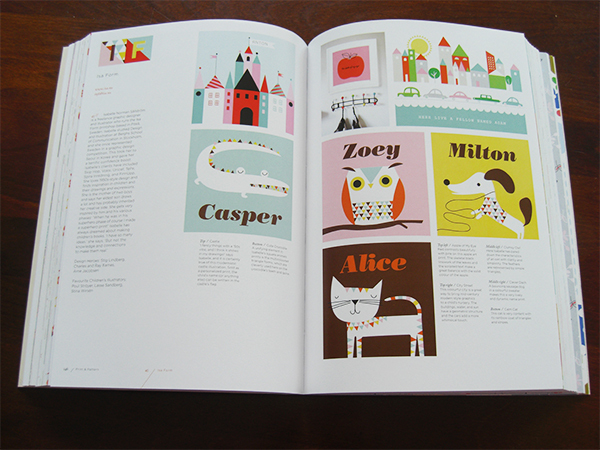 And a lot of my current illustration heroes such as Helen Dardik, Orla Kiely and Belle & Boo, just to name a few. 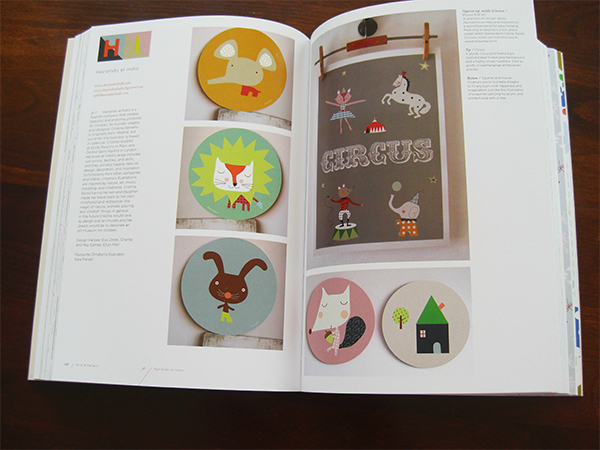 But maybe the best thing about all the Print & Pattern books is finding a lot of great artist you didn´t know before. This great publication will definitely find a place in my luggage to Croatia, where I´m leaving to on Sunday. Enjoy the summer, see you in two weeks. Wenn der Postmann zweimal klingelt, steht entweder ein Mörder vor Euerer Tür oder……. 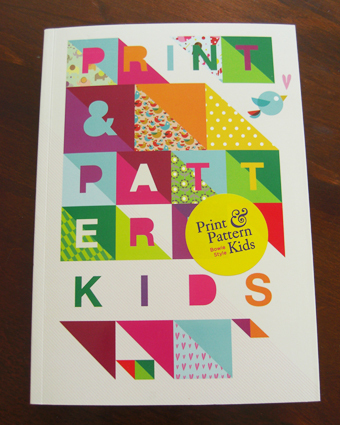 das neue Print & Pattern KIds Buch ist da! Es ist das druckfrische dritte Buch von Marie Perkins, welche unter dem Synonym Bowie Style den sehr erfolgreichen Blog print & pattern betreibt. Das Buch ist voll von phantastischen Mustern und Illustrationen für KInder und ich stellte mit Begeisterung fest, daß einige Designs von meinen MATS Freunden stammen. Außerdem fand ich Arbeiten von echten Illustratoren-Größen wie Helen Dardik, Orla Kiely und Belle & Boo, nur um ein paar zu nennen. Vielleicht das Beste an allen drei Print & Pattern Bücher ist aber, daß man immer viele tolle Illustratoren findet, die man noch nicht kannte. Dieses Buch findet mit Sicherheit den Weg in mein Reisegepäck für Kroatien, wohin ich am Sonntag aufbreche. Genießt den Sommer, wir sehen uns in zwei Wochen. Today we are offering you an exclusive interview with Petra Hämmerleinova, one of the non-semi-finalists of the Global talent search by Lilla Rogers. Above you see a random selection (the computer picked ten images out of the semi-finalist list) of a few semi-finalist journal designs. 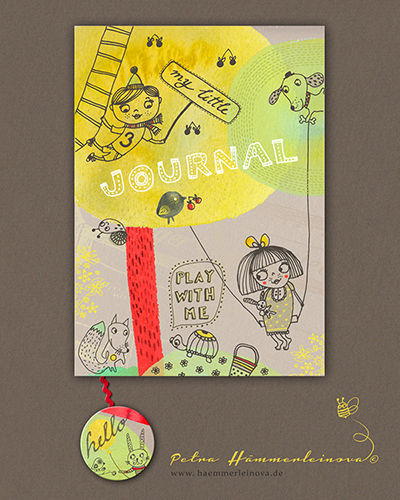 The briefing asked for a journal cover with a playground theme as if your client was Paperchase. See all 50 semi-finalists on Lilla Rogers´blog here. I: Petra, what were your feelings after you realized your journal cover design didn´t make it? 1500 entries from 30 countries all over the world took part, 50 made it, a chance of 1:30? Petra: Well, I really love statistics so I was considering these numbers as well, but somehow I felt confident about my design. I went through everything Lilla taught us in her MATS course: icons, technique, colours, details, composition, textures, presentation, does the design read well in a thumbnail view and does it have a certain quirkiness? I spent three days alone on hand-lettering, because I know she loves it. So, yes, I thought I had a chance that my art will sell. I: And then the moment came when you knew you will not work on the second briefing, you will not be Lilla´s next star. This must have been crushing. Petra: I guess it felt very similar to all the other 1450 artists, who submitted to GTS and saw their dreams shattered. You know that it´s pretty impossible from the start, but you hope, hope all the time. I went two times down the semifinalist list to make sure I´m not in. …. I see you smiling. O.K. it was optimistic. But when you go into such a competition without believing into yourself, you better don’t do it at all. I: And your second thought? Petra: Can snot destroy the keypad of my computer? I can assure all artist collegues full of self-pity, no, it will not. My second worries? How to stop crying before water drainage will completely dehydrate me (comment by the editor: at the moment it is extremely hot in Bavaria)? I: I´m glad to see your humor back. Petra: You can´t cry whole day and night when your kids are at home having summer holiday. You have to keep going. But waking up in the morning with this nasty feeling in your belly doesn´t feel good. I´m happy enough to have the MATS community which gives me some comfort. I: So what are your plans for the future? Petra: At the moment? I´m not sure. First of all I need to book some last-minute holiday for my family. That´s the positive thing about blowing out of GTS. We can have our summer holiday now. I: Something else you would like to add? Petra: Yeh, good luck to the 50 semi-finalists. I: Thank you, Petra, and all the best for the future.